Welcome to Westmoreland County American Legion baseball league website ....... The league encompasses the entire area of Westmoreland and Armstrong Counties located in southwestern Pennsylvania. Our league consists of young men between the ages of 16 to 18 years of age who strive to carry on the deep rooted tradition of legion baseball in our area. American legion baseball is one of the few organizations left that teams are comprised of young men that live within their communities. 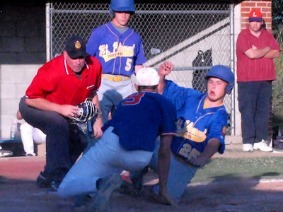 Also the American Legion baseball program installs the value of sportsmanship and good character. Irwin American Legion sat out last year's District 31 baseball season, but Tom Hussey knew the hiatus wouldn't last long given the successes of the Norwin baseball program and the general interest in the game in the area. When Hussey was approached about restarting the program for this summer he jumped at the opportunity, and the team is back on the field. “We're a baseball community,” said Hussey, who previously helped with the Norwin recreation and youth programs. “We knew we would get the kids. It was just a matter of getting the word out and getting them to commit. We have commitment from them, and I'm thrilled about it. I have a great group. Irwin was 1-3 in the early going and had games scheduled at Latrobe on Thursday and at Derry on Friday, past the deadline for this edition. Once word spread there was an effort to restart the program, it didn't take long for Hussey to assemble a team. Hussey said he has 14 players on the roster, and they are a mix of varsity and junior varsity players at Norwin. Craig Charron, who previously coached Irwin, is back on the staff as an assistant. Irwin plays its home games at Norwin. Billy Kerston, Javier Rosado, Vincent Oddo, Alfredo Calub, Garrett Senchur and Evan Kline are listed as pitchers, but will likely see time in, as well. Christian Kubacka, Nick Kervo, Logan Liebzinski, Owen Sabol, Derek Turcovski, Brian Woods, Ronald Howard and Michael Ryan are listed as position players. Most of the players are either sophomores or juniors and will be looking to contribute at the high school level next spring. Hussey has liked the fight his team has shown in the early going. Irwin fell 11-5 in its opener against Latrobe, but rebounded to win 15-3 over Young Township. 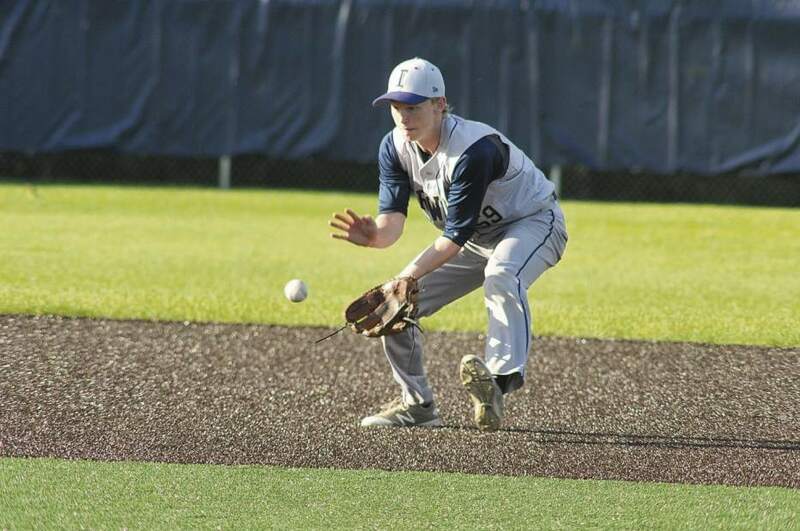 Last week, the team dropped a pair of one-run games, 2-1 to Unity and 6-5 to West Hempfield. District 31 has a dozen teams this season with eight making the playoffs. Playing tight with Unity and West Hempfield has Irwin hopeful that with continued improvement those close losses will become victories. There's a long way to go with the season running until early July, and Hussey is still getting a feel for the league in his first season. One thing is certain though, he is happy Irwin is back. 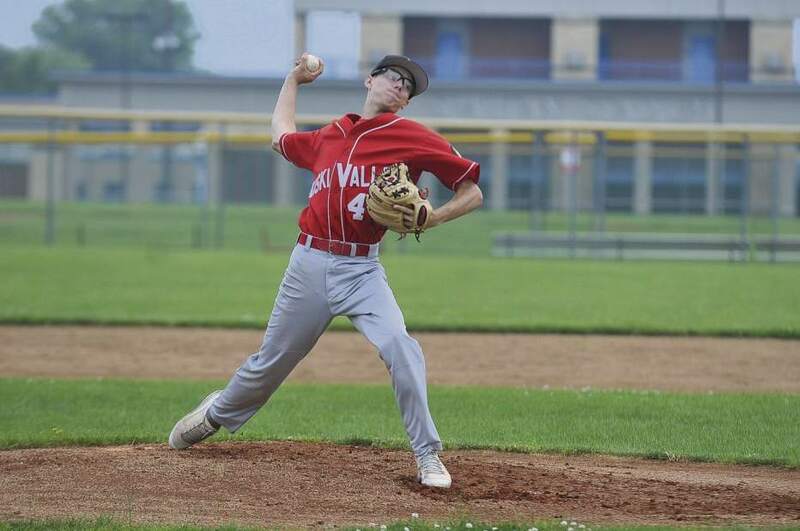 In a wooden bat league like District 31 American Legion, having good pitching is usually more than half the battle, and Kiski Valley coach Den Montgomery has confidence in whomever he gives the ball to on the mound. The hope is that the Vikings offense can catch up to the rotation to make them even more dangerous as the season progresses. Sean Furlong and Tyler Johnson already have shown the ability to shut down opponents. Johnson tossed a seven-strikeout no-hitter in a 6-0 win against Jeannette on May 31, and Furlong had an 83-pitch complete-game masterpiece in a 5-0 blanking of Unity six days earlier. Their performances early on have been magnified while the team works through some issues at the plate. Montgomery is counting on the quality pitching to continue to help keep the team afloat while a mostly new group of hitters adjusts to swinging wood bats. The Vikings were 3-3 through Thursday. Montgomery runs the team with his twin brother Dave. Both of them will be inducted into the PA American Legion Hall of Fame in July in Boyertown. Johnson, an Armstrong graduate, played baseball at Butler County Community College this spring. Furlong was one of Freeport's top pitchers this season and plans to be a walkon with the IUP baseball team in the fall. He isn't a pitcher posts high-velocity numbers on the radar gun or one who racks up strikeout numbers, but he's a pitcher in the truest sense, using location and changing speeds to baffle hitters. Furlong turned in another good outing in a 6-5 extra-innings loss to Hempfield East on Sunday. Montgomery said Furlong has developed into a deceptive force for the Vikings. Freeport's Jarrett Heilman and Armstrong's Jordan Dillard are starters, and Armstrong's Eddie Morris will be used in relief in what is a deep pitching staff. Montgomery has confidence in all of them to give good innings. Armstrong's Dawson Porter boosts an offense that is comprised mainly of new players outside of Furlong, Johnson and St. Joseph grad Jordan Van Thiel. Porter, a Westminster recruit for baseball and football, has shown good leadership to go with his hitting ability. The Vikings lost middle-of-the-order hitters Frankie Stefko and Jon Thomas, as well as Andy Fennell. Newcomers like Leechburg catcher Anthony Mangee, whom Montgomery described as raw but very coachable, are working to become more competitive at the plate. Montgomery called the Vikings “a middle-of-the-road” team in its current state, but there's room to climb the standings in what appears to be a fairly balanced league. Eight of the 12 teams make the playoffs. The competition that's bred in the Westmoreland County American Legion Baseball League is generally some of the best in the area, and this year will be no different. While there will be some new faces and a significant adjustment to equipment use, the talent-pool will be similar if not better from top to bottom and parity will be more visible than in years past. "I think this could be the most balanced league we've had in a long time," Latrobe coach Jason Bush said. "I don't see one team head and shoulders above the rest. I don't think there will be one single team that will struggle that teams can take advantage of." Murrysville head coach Gus Bondi said that a lot of the rosters are made up of varsity caliber athletes who made significant contributions to high school teams... some of which that made the WPIAL playoffs. "There's a lot of good pitching and dominant hitting every year," Bondi said. "Obviously, some kids have moved up and there are teams that have solid reputations out there. Every night we'll be playing teams that have varsity players from their high school teams." This season, teams in the WCALB will be forced to ditch the aluminum and switch to wooden bats. The opinions among the coaches vary, but the general consensus is that it will force a return to small ball and pure baseball style. Welcome to Westmoreland County American Legion baseball league website. The league encompasses the entire area of Westmoreland and Armstrong Counties located in southwestern Pennsylvania.